Google always tell to webmasters/ SEO experts to create quality and relevant inbound links to achieve well traffic and rank of their blogs or websites. Building external links as much as possible can lead your blog to the top position and it will increase your pagerank. Hold on! Link building has a negative side if you can’t do it properly and you will be marked as a spammer. So, be sure that you are not a spammer. Search engine bot will rank you up if your links are popular and comes from quality sites. 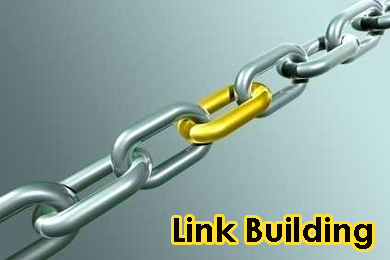 I am mentioning below some cool tips about how can you start link building campaign. Social Bookmarking: Social bookmarking is a way that gives you to build links easily. Keep in mind you have to bookmark your links on reputable websites and high ranked to get quick output. Here are top ten social bookmarking website lists. Forums: Join some quality forums where your blog/ website’s content relevant people gather. Ask questions or answer someone’s questions with your link as signature. Almost every forum has user profile, so complete your profile properly. These will present you as a professional and expert. Blog commenting: Blog commenting is an easy way to make outbound links. Whenever you visit a blog must leave a comment with your blog address. Be sure that you don’t spam and use proper format to make your links. See below HTML tag. Replace Yellow URL with your blog address. Replace Green text with your own link title. Replace Blue text with your own keyword phrases. Deep linking: Deep linking method focuses a specific page, image or a link instead of home page. You can create it with simple HTML tag as I explained above in blog commenting section. Guest Posting: Guest posting is a smart idea for making backlinks. Find some nice and high reputed blog which accept guest posting. Then join them and write some quality posts for them. Generally guest posters are allowed an information area to make links and write his/ her short bio. This is pretty cool way. 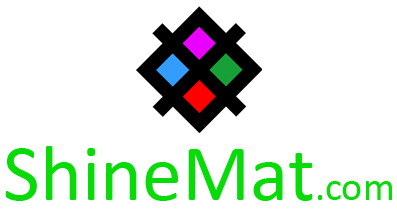 Link exchange: Link exchange with other webmasters also a great idea. Contract and request with other blog owners to exchange links. This will also make strong relationship with other good bloggers. Update: If you interest to exchange your blog link with us then send us your request (till slot free). We will add your link to our supporter's network at right side of this blog. Your blog must have quality contents and free from adult contents. Link juice: Link juice is a way to pass link one page to another page. More inbound links a blog has, more it receives link juice. Make links from one post to another for getting high in SERP and increase pagerank. Social media: Social media is a powerful tools to promote. Use Facebook, Twitter, Myspace, Google+ etc. to expose your blog more. This will also improve your traffic and popularity. Article directories: Article directory can give you reputed link back. Write sometime in top article directories like eHow, Squidoo, Ezinearticles, Hubpages, Technorati etc. and make your blog link as source or sponsor. I hope you are clear about all. If something is unclear then fell free to ask me. Have fun!